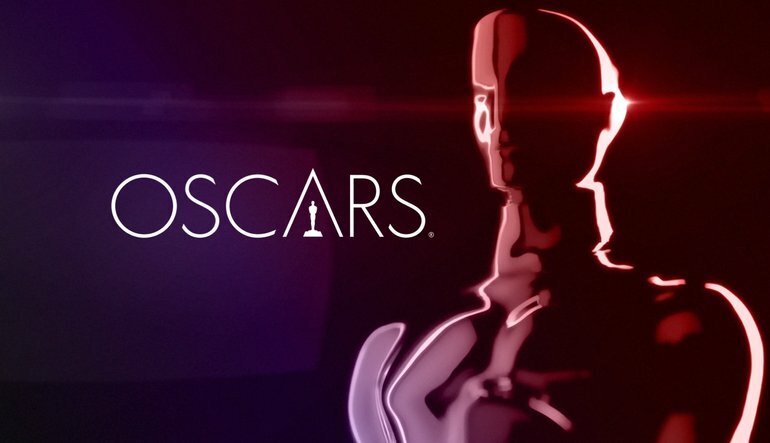 The 91st Academy Awards or the Oscars were held on February 24, 2019. Here are my opinions on the winners in each category! “Green Book” takes place in the South during the 1960s when segregation and racism were still prominent issues in the United States. Academy award winner Mahershala Ali portrays Dr. Don Shirley, a famous African-American jazz pianist, while Viggo Mortensen portrays Tony Lip, a man hired to drive and protect Shirley. “Green Book” focuses on Lip and Shirley’s story and presents the message for the need of equality. While other nominees like “Black Panther” and “BlacKkKlansman” also present stories involving racism, “Green Book” allows for the audience, myself included, to feel a sense of hope in the modern hate seems to be resurfacing due to our political climate. Initially I had not been rooting for “Green Book” to win the award for best picture because of my personal bias towards the films “A Star Is Born,” “BlacKkKlansman” and “Roma,” but director Peter Farelly allows the film to be a “feel-good” movie at times while also incorporating many dark, heavy themes and moments in the film that makes it a contender for a “best picture” and “original screenplay” win. Along with its win for “best picture” and “best original screenplay,” Ali won an oscar for “best supporting actor.” In every film Ali has been apart in, including “Moonlight,” his roles have always captivated me. Ali has slowly made his way into my list of favorite actors and due to his performance, “Green Book” was much more enjoyable for me, so I believe his win was well deserved. “Roma,” a film that follows a year in the life of Cleo (Yalitza Aparicio), a live-in maid working for an upper-middle-class family in 1970s Mexico City, won awards for “director,” “foreign language” and “cinematography.” As it was one of my favorite films from 2018, I firmly believe that “Roma” deserves it’s win in every category. That being said, the film has a special place in my heart due to the story line and Alfonso Cuaron’s techniques as a director and cinematographer. Cuaron decided to connect the film to his childhood and the domestic worker who practically raised him. Therefore, Cuaron’s choice to capture “Roma” in a monochromatic aesthetic is a great choice when reminiscing on the past. However, Cuaron’s techniques still sets “Roma” apart from other nominees, like “Cold War”, that were also shot in black and white. I have found that Cuarón’s attention to detail and the range of his camera angles are the reasons why his directing and cinematography is so appealing to me. Throughout the film, Cuaron uses “elastic shots” which include the use of a sequence of camera angles from a wide view, a close up and to a point of view shot. This technique allows for the shot to show multiple perspectives and details you would not observe if the scene were shot in one angle. According to the Hollywood Reporter‘s Behind the Screen podcast, Cuaron says that “Every frame needs to have information in every single inch of it” which is what his sequence of several camera angles accomplishes. Another technique of Cuaron’s that I find notable is his use of camera movement. Cuaron’s use of a “documentary” style of cinematography is one of my favorite parts of the movie. While watching the characters in “Roma,” I felt that the range of shaky, robotic, steady and handheld camera movements allowed me to feel a connection to the characters and felt like I was following them around. Besides Cuaron’s excellent directing and cinematography skills, the win for “foreign language film” was highly deserved as well. Cuaron’s film was one of the best foreign films I have ever watched and really tugged at my heart strings. Although I felt fellow nominee “Capernaum” also had a high chance of winning the category due to it’s heartbreaking plot, all the elements of “Roma” made it one of my favorite films of 2019. To embody Mercury’s aura, Malek went through physical transformations and coaching to match the Queen frontman’s mannerisms and actions. Malek transformed into the role by acquiring prosthetic teeth to match Mercury’s physical appearance, developing a smooth, British accent by working with dialect coach William Conacher and learning to move like Mercury with the help of United Kingdom movement coach Polly Bennett. “BlacKkKlansman” follows the heroic, true story of Ron Stallworth (John David Washington), the first African American detective in the Colorado Springs Police Department. In the 1970s. Stallworth is assigned a mission to infiltrate and expose the Klu Klux Klan (KKK) with his partner Flip Zimmerman (Adam Driver). Shortly after watching “BlacKkKlansman,” it became one of my favorite movies of the year, so I was extremely excited for the film to win an academy award for “adapted screenplay.” Driver and Washington’s chemistry throughout the film really brought the story to life for me and made the already captivating plot more enjoyable. Over the years, many films have represented several civil rights and historical issues from the past, but the way that “BlacKkKlansman” portrays the existence of the KKK and the heroic story of Zimmerman and Stallworth in the best way. Director Spike Lee’s constant shift of tone from dark, heavy scenes representing the hatred the KKK brought with light-hearted, humorous scenes of Zimmerman and Stallworth’s bond makes “BlacKkKlansman” one of the best films of the year. Not only does Lee flawlessly put Zimmerman and Stallworth’s story on screen, he parallels the political climate in the 1970s to now. For example, throughout the film, Stallworth finds it difficult openly fighting for equality while also being a cop. One of the scenes in the film highlighted how the board of the KKK wanted to move up into government roles and Stallworth said, “America would never elect someone like [the director of the KKK].” This was a jab at Donald Trump’s election and the political climate of modern day society. To conclude, although “BlacKkKlansman” provides heavy political commentary, the bond and cooperation between Zimmerman, a Jew, and Stallworth, a black man, left me on the edge of my seat. Therefore, I believe it is highly deserving of its Academy Award. “Spiderman: Into the Spider-Verse” portrays the fictional life of teen Miles Morales and how he becomes the SpiderMan of his dimension while also crossing paths with five counterparts from other dimensions. Out of all the nominees in the “animated feature film” category, such as “Incredibles 2,” “Isle of Dogs,” “Mirai” and “Ralph Breaks the Internet,” “Spiderman: Into the Spider-Verse” was the most advertised and received the most positive reviews (97% on Rotten Tomatoes). I predicted that “Incredibles 2” and “Ralph Breaks the Internet” also had chances of winning the award due to their highly anticipated sequels after 14 and 6 years, respectively. Growing up, Marvel comics and films were my favorite stories. However, the animation and plot of this “Spiderman” movie was one that really sets it apart from other animated films. For starters, the animation of “Spiderman: Into the Spider-Verse” was one of the best I’ve seen; It captures the essence of the comics because of the “moving comic” technique. One of the other elements of “Spiderman: Into the Spider-Verse” that I also grew to love was the introduction of many different “Spider-People” such as Spider-Gwen, Spider-Man Noir and Spider-Ham who have never appeared in previous Marvel films. Overall, “Spiderman: Into the Spider-Verse” was a film that appealed to both children and young-adults and introduced a lot of elements to the “animated feature” category which makes it deserving of the title. In my opinion, the category “animated short” is one of the most underrated categories in the Oscars. The academy award winner in the category “Bao” was probably the most widely-known short in the list of nominees. Due to its premiere before “Incredibles 2,” “Bao” got a ton of exposure. “Bao” tells the story of an old, lonely Chinese mother who receives an unexpected second chance at motherhood when her homemade dumpling comes to life. The sweet story gets more intense as the dumpling son grows apart from his mother as he gets older. The plot reveals how the family-oriented Asian culture and the independent Western culture clash. If you only look at “Bao” on a surface level, it becomes a story about a mother eating her dumpling son, which isn’t the case. In a weird way, I was able to relate to the short film because of the different environments my parents and I were raised in. “Black Panther,” a film set in the Marvel Universe, consisted of characters with intricate costume designs that were influenced by the setting of the fictional country located in Sub-Saharan Africa Wakanda. Although being one of the most critically acclaimed movies of the year, “Black Panther’s” nominations for “best picture” was incredibly shocking. Although the film’s loss of the award was not a surprise to me, because the Academy tends to dislike marvel or big genre films, their wins for the awards “original score,” “production design” and “costume design” were well-earned. Ludwig Göransson’s original scoring for “Black Panther” was one that I wanted to listen to after watching the film. Kendrick Lamar’s rendition also brought the score publicity due to other popular artists, including Lamar, The Weeknd, Swae Lee, Future and more, being featured on Lamar’s soundtrack for the film. As for “costume design,” Ruth E. Carter became the first African American to win an Academy award in the category. The costume designs in “Black Panther” were meant to represent royalty in Wakanda. Carter gracefully achieved her goal through studying the garments of several African tribes. With “production design,” Marvel never seems to disappoint with their set and interior design, but “Black Panther’s” portrayal of Wakanda was compelling due to it’s futuristic and royal elements of the labs and amphitheaters. Production designer Hannah Beacher’s interior designing for the film was inspired by the trip she took to research the architecture in South Africa.